Welcome to our Donation Tracker. 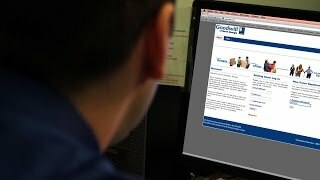 We're making it easier than ever for you to keep track of your Goodwill donation receipts. No longer will you have to hold on to your paper donation receipts, the Donation Tracker will generate one for you and even send it to your email address. Once you register, you will be able to add new donations as you make them throughout the year. The system also makes it easy for you to print a yearly summary of all your donations - perfect for your tax time, when you need to claim a deduction for your charitable contributions. Please log in with your email address and password if you have previously registered a donation. I'm new here and want to register my donation to receive my donation receipt. Please use the Existing Donor Log In option if you have previously registered a donation.